Jack Nicklaus’ long-standing record at the top of the Major list is under serious threat after Tiger Woods’ win at Augusta National, so much so that the Golden Bear himself fears the worst. 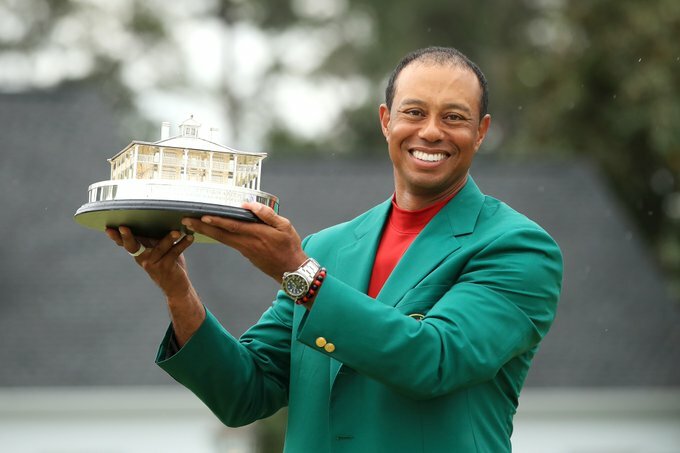 Without a Major in 11 years and ‘stuck’ on 14, the golf world was ready to move on from the constant speculation that Woods could one day match and surpass Nicklaus’ tally. Last year, Woods contended at The Open and again at the PGA Championship, but could not get over the line and was thwarted by Francesco Molinari and Brooks Koepka. Molinari led by two going into the final round, but a back nine disaster ensued for the Italian with double bogeys at 12 and 15, leaving Woods at a clear run at his 15th Major championship victory. He duly obliged, and at the same time reopened the debate about if and when he would match Nicklaus. The PGA Championship and US Open are next, and will be played at courses where Woods has won before, a point not lost on Nicklaus. ‘I thought for a long time that he was going to win again,’ Nicklaus told the Golf Channel. ‘The next two majors are at Bethpage, where he has won, and at Pebble Beach, where he has won. Current holder of both of those majors, Brooks Koepka, agrees. ‘Eighteen is, I think, a lot closer than people think. I would say that’s probably what all fans, what we’re thinking. That he’s definitely back and 18’s not far,’ he said.